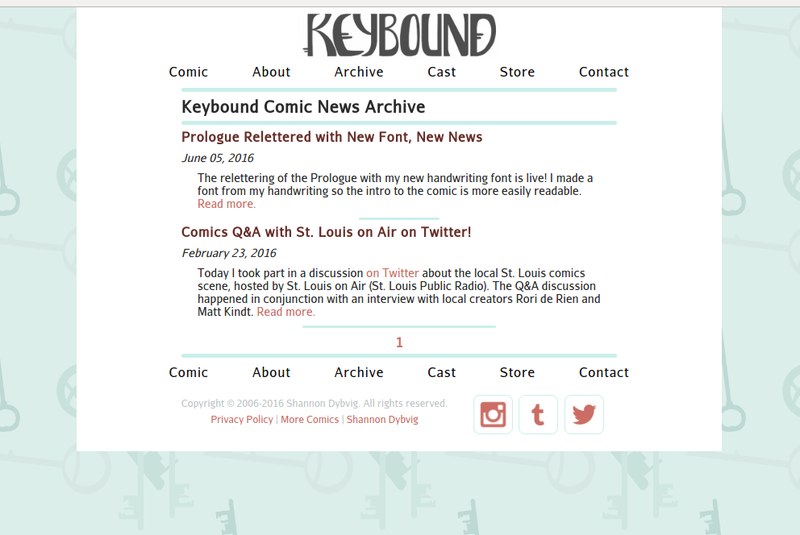 Welcome to Keybound! 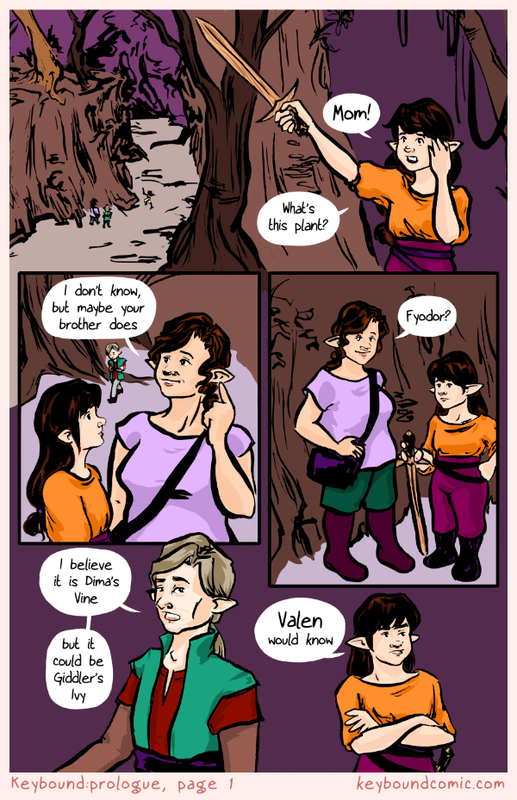 The prologue takes place many years before the main story, when Eledrine (the girl in orange) is quite young. The relettering of the Prologue with my new handwriting font is live! I made a font from my handwriting so the intro to the comic is more easily readable. The Keybound archive is now live! It is a visual archive and separated by storyline, so if you remember what the page looks like or what section of the story it is from, you can find it. There is also a new page dedicated to the news archive: each comic page will have the most recent news item (so new readers working through the archive won't miss out on appearances! ), but if you missed old news you can still read about it. The news archive can be found here. Keybound comic page 1. Eledrine is inquisitive about plants. Her mom suggests they ask her brother, Fyodor, who is snooty about the inquiry. Eledrine calls to her mother from a short distance, pointing with a wooden sword. ELEDRINE: Mom! What's this plant? AGNET: I don't know, but maybe your brother does. FYODOR: I believe it is Dima's Vine, but it could be Giddler's Ivy. Copyright © 2006-2019 Shannon Dybvig. All rights reserved.